Hello! Welcome to the ACVT forums! Greetings all incoming freshman!!! Congrats on getting into Virginia Tech!!! Please see this thread in regards to storing your equipment off campus! 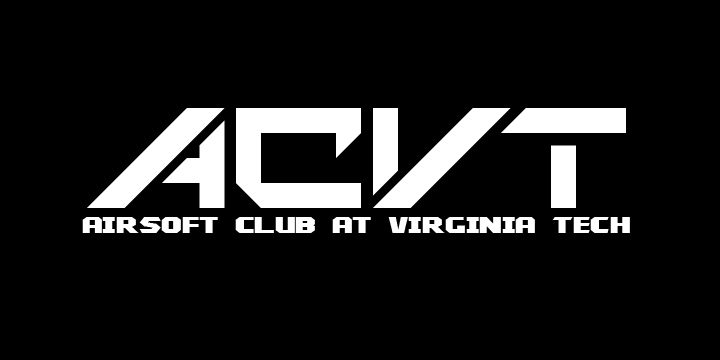 All games hosted by the Airsoft Club at Virginia Tech will be posted here. Mandatory waiver and rules are located in this subforum. If you are new to the team, please introduce yourself here! You can also search our current members if you wish to know more about us. Discussion regarding what you'll need as you first start playing airsoft! A place for posting and commenting about tactics in the sport of airsoft. If you need help with your gun, or want an ACVT technician to do it for you, you'll find help here. ACVT has several technicians who are skilled at repair and upgrades and would be happy to get your equipment back up and running. A place to post progress on current airsoft projects you are working on. Feel free to post pics and a written diary of your project. One project per topic please. Have gear you want or don't need? Trade with members here! Each seller on these forums can have one thread describing their experiences. If you buy or trade with someone, post feedback in their thread!